Retailer Game has Game has announced the opening of more 'Belong' zones and showcased a brand new experience at its Wardour Street store. 'Belong' is a leisure experience bringing video-gaming to high streets, shopping centres and communities nationwide. It provides dedicated space for the nation’s gamers to play with friends, compete in tournaments, enjoy gaming nights, celebrate new games and technology launches and share video-game themed events and experiences. The zones have been rolled out since July - alongside the one in Wardour Street, Belong zones are now available within seven of the retailer's stores, including those at Intu shopping centre, Milton Keynes and at existing Game stores in Bristol Cribb’s Causeway, Hull Prospect Centre, Portsmouth, Gateshead Metrocentre and Manchester’s Trafford Centre. More Belong venues will open within Game stores over the coming months with the locations to be revealed next year. Alongside Game’s extensive videogames retail offering, dBelong aims to provide a physical location to enhance gaming experiences playing with friends, anywhere, anytime. Martyn Gibbs, CEO of Game Digital said:"Gaming is more fun with friends, whether that is face to face or online and that is what Belong is all about. Almost half the population plays video games and three million of us compete online, and a key part of our strategy is to expand into this fast-growing world of esports." Gibbs added that Game's ambition has been to bring some of the best elements of Multiplay’s Insomnia festival, where competition reigns across multiple games, into its stores. From the four Belong zones that have launched since July, Game says it has amassed thousands of hours of gameplay with 20% of players being new to the brand. "Our Game community and Belong is now at the heart of this strategy as we seek to combine multichannel retail, events and esports," said Gibbs. 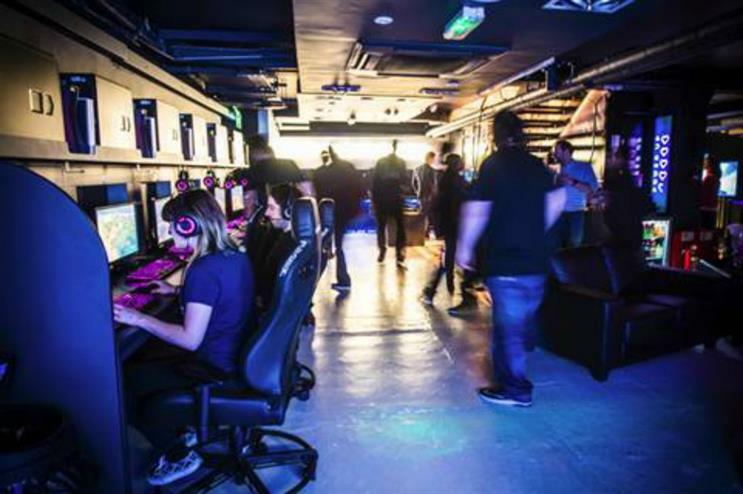 Alongside casual gaming and virtual reality booths, Belong is also providing professional quality gaming facilities for the UK’s three million esports enthusiasts to gather and play competitively. The move aims to tap into the growing esports scene. Each store features a dedicated area with up to 25 high specification PC gaming rigs, alongside consoles installed with some of the most popular game titles, which will be constantly reviewed based on the local community engagement. Space in the gaming zones is available to book in advance, as well as allowing gamers to drop in and play instantly. The stores will also feature Game's videogames retail offering and an enhanced PC retail experience. Multiplay, the events division owned by Game Digital, announced in November that it had secured the license to run Bricklive, the UK's biggest Lego fan event, and will expand it into a series of events in multiple cities in 2017. Also in November, around 400 gamers were immersed in the world of Final Fantasy XV at the video game's UK launch event in Hoxton, which served as a backdrop for a live broadcast through gaming website IGN.